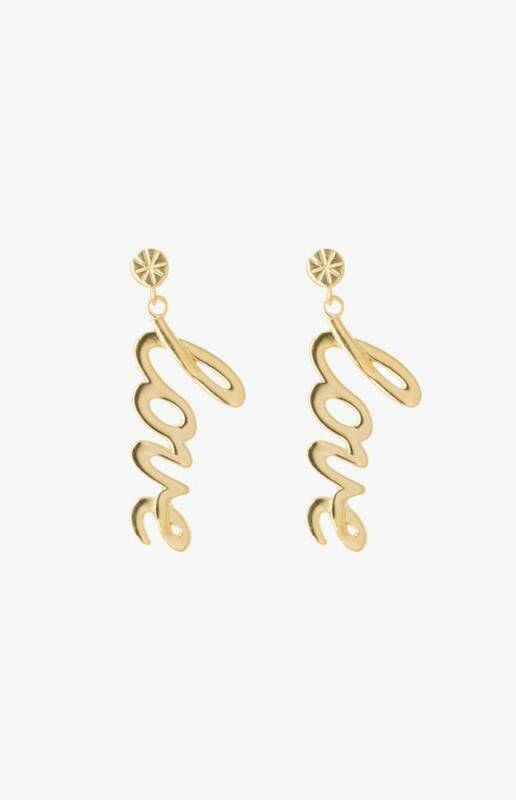 These large gold-coloured ' love ʼ statement earrings are a real eye-catcher and they are super fun to match with any outfit. 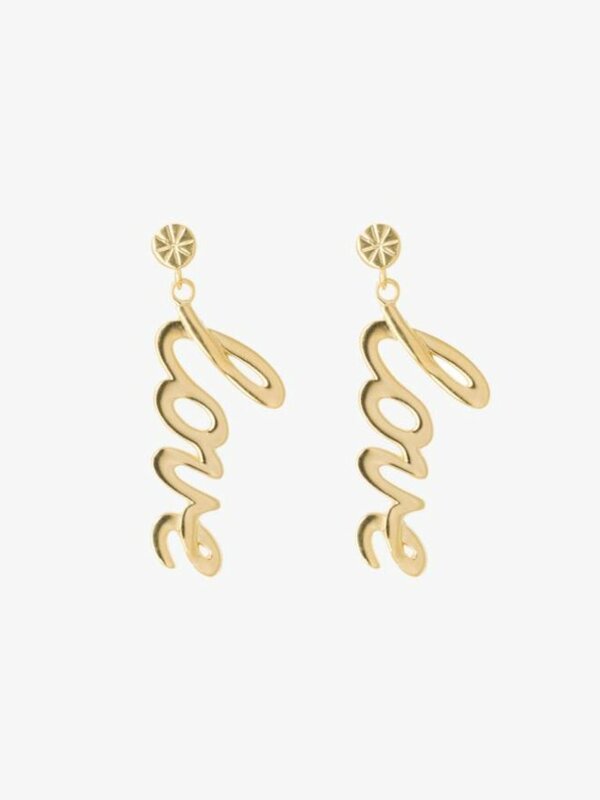 Also available in sterling silver ! At Sincerely Valentine it's all about showcasing your personal style, allowing you to reveal who you are and what makes you feel gorgeous.